Home / Music / Reviews / Did Alpha Better Records hit the wrong button? Did Alpha Better Records hit the wrong button? 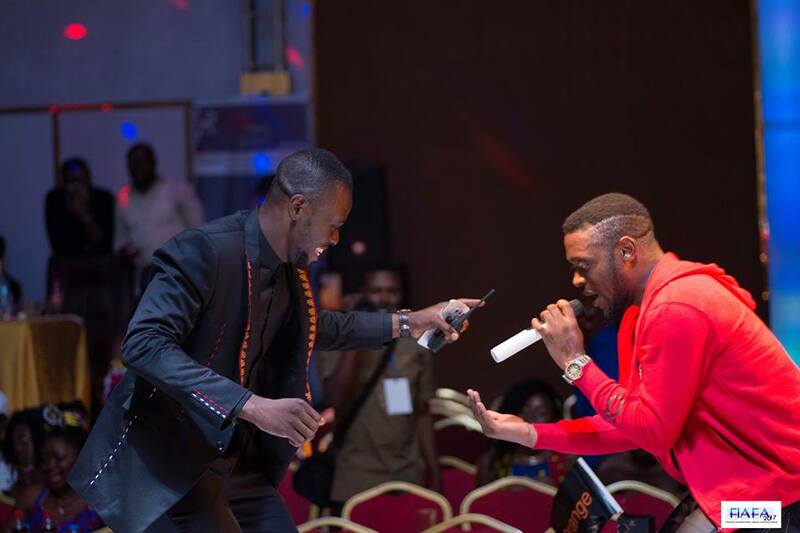 Founded in 2014 by singer, songwriter and producer Salatiel, Alpha Better Records in the span of three years has risen to become one of the urban music powerhouses in Cameroon alongside names like Empire and Big Dreams Entertainment. For over a year now, Alpha Better Records has been behind more than half of the hit songs we have heard in the last two years in Cameroon, with chart topping songs from the label’s artists like Mr. Leo and other hits produced and co-written by Alpha Better for acts like Daphne. The label has brought great change to Cameroon’s music culture. For the first time in a very long time, English-speaking musicians landed on top of the country’s highly Francophonized music charts. Who cared about them being Anglophones? Cameroonians just needed to hear good music… a feeling Anglophones had begged for so many decades. It is a good thing to hear a French-speaking Cameroonian vibing to Mr. Leo‘s ‘E Go Better’ and singing every lyric like it was his/her last. With a musical genius like Salatiel, a singing phenomenon in Mr. Leo, a raw hip hop act like Askia and a beat maestro like Blaise B aka Akwandor, Alpha Better Records for a while seemed to be the label that will take Cameroon to the heights that we have seen other African artists like Tekno reach in the last few years but that has not been the case. 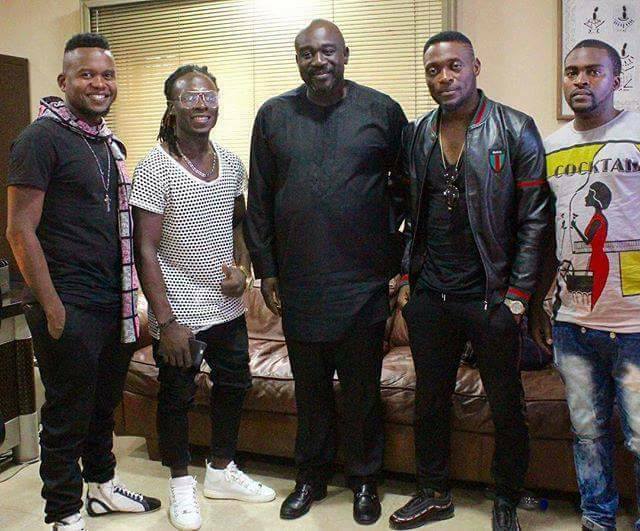 We have seen Tenor come up and move past them to ink a deal with Universal Music. Locko has made it to Coke Studio, and Daphne has become queen of YouTube views. With all that happening, Alpha Better has somehow managed to catch what one can call a ‘New Bell Music’ syndrome. There is a lot of good music but something is not giving. If you are a keen observer, you would have noticed the absence of Alpha Better Records music on Trace TV. None of the videos from this very popular music group features on any music chart on Trace Africa – even their Top 30 countdown! Why will the same group, singing in the language of the French people not feature on a music channel known to push good Francophone musicians to the top? Who said what to the wrong person or who got misunderstood? Those questions remain to be answered but it is obvious that their absence on Trace is hurting them and we can see that in the tanking of their YouTube views. Videos from the Alpha Better Records have remained stagnant on YouTube in the last six months or so. A popular song like ‘Qu’Est Ce Qui N’a Pas Marcher?’ struggled to reach 388,000 views after two months on the web. “Higher Higher” dropped in the heart of the Holiday Season still roams around 362,000 views after a month and it doesn’t end there. Mr. Leo, the biggest and most popular artist of the group is also suffering the same fate. From enjoying above a million views on songs like “Kemayo”, “C’est Faux”, “Jamais Jamais”, the singer is now fairing very poorly YouTube with his new songs like the amazing “Pray” still on 236,000 views since its release two months ago. 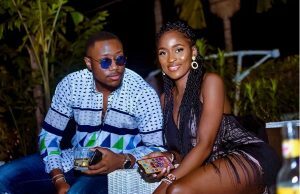 On the other side of the table, songs like “Promet Moi’ and “Jusgu’à La Gare” by Daphne released almost at the same time as Mr Leo’s “Pray” are basking in millions of views. So where did Alpha Better Records go wrong? Meanwhile it is hard to place a finger on one particular thing, we have some theories. First, Alpha Better is having a PR nightmare. 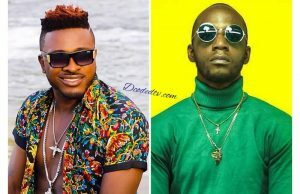 Whether we like it or not, Salatiel’s comment on Montess‘ AFRIMA 2017 win and Blaise B‘s alleged attack on Tzy Panchak did cause serious damage to the group’s brand. They lost respect and admiration from fans especially in the Anglophone region. Somebody needs to step in and work on rebuilding Alpha Better’s image before it is beyond repairs. Whether or not that will happen depends on if they can first of all accept there is a hole to plug there. Secondly, it looks like there is a need for some new management and a restructuring of deals that will allow the company to function more like a artist development label; building artists that they can then send off to other labels that have the experience in taking artists into the major league. Artist development contracts can still be lucrative for the label while giving the artists the opportunity to grow beyond the boundaries currently set by what seems to be poor management. Why has Alpha Better Records not signed the deal with Sony Music Africa yet? A deal like this has a huge impact on any artist. Take a look at Tenor. One big move into Universal Music Group and boom! We can see the changes. His views on YouTube moved up, his looks have changed and fans reaction to his concerts became phenomenal. Another example, Tekno in Nigeria. He signed to Sony Music Africa in 2014 and has released four songs after that deal with each of them on more than 10 million views on YouTube. 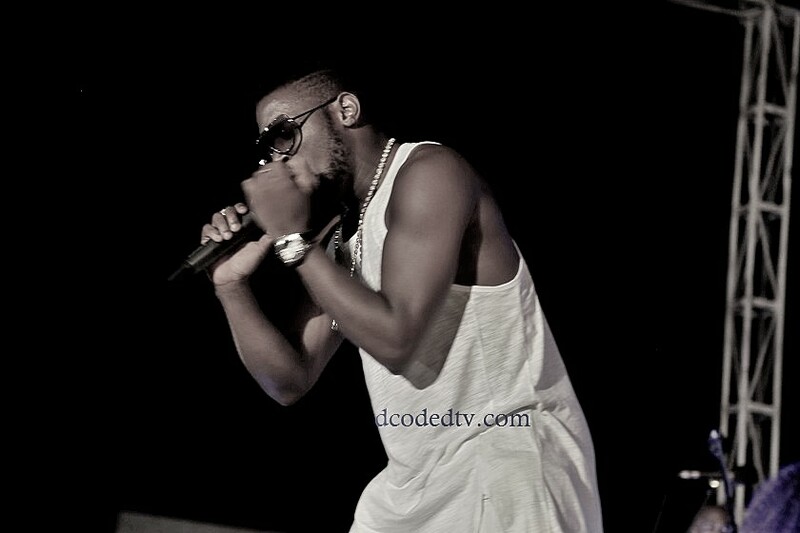 He’s been on bigger stages across the globe and now shoots quality videos with renowned directors outside Nigeria. Another move that can uplift the label’s acts from the current stagnation is securing better collaborations with bigger African artists. Collaborations have proven to be one of the major ways of reaching new fans and new markets. 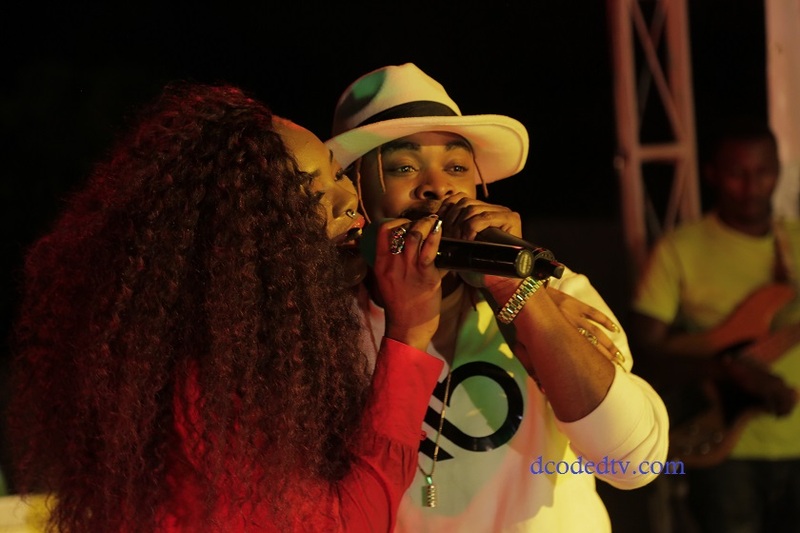 We have seen Stanley Enow do this from the start of his career and the results are telling. Finally, it is that time to look beyond TraceTV. We recently saw Salatiel and Mr. Leo in Nigeria having some talks with Soundcity TV under the auspices of Wax Dey. The hope is that there is more being done in that light to reach other platform and outlets. There has been so much focus on the music but it is time to understand that being an international act takes cultural relevance beyond music. Talk Stanley Enow on CNN’s African Voices, again highlighting the need for a better PR team. It will be a pain and a dent in the culture for Alpha Betters work to remain local for anymore time. Something needs to give. Next Story → Celebrity Endorsements: Are Cameroonian brands getting it right? Alpha Better Records are a Good Label but as to their songs not airing on Trace anymore, it’s only one thing the don surely vex Oga Boss and sure you know this. Those fellows are sellouts and need to understand they were lifted up by the Anglophone community. They francophonized our English culture and deserve any illuck that comes that way. If care is not taken every other artist in that trend may suffer the same fate. Those are things that come with not being truthful to who you are. You never see Francophones trying to do music in English to impress us but our artists have all turned to francophones. One thing you should know is, francophones did not like alpha beta records music because they’re Cameroonians but because they’re doing it in French. The francophone community don’t want to accept that Cameroon is made up of too people with two cultures and we are are giving them that legitimacy by francophonizing our own culture. Anglophone artists are being nominated in awards under the category of best Francophones and they’re so happy knowing that the international community sees them as Francophone knowing fully well that they are not francophones. Daphne shamelessly come on social media to defend the reason why she was nominated under best francophone saying Best francophone does not mean best French mucic but best music done by artists in a French speaking country. Who’s that dumb? I mean everyone knows Cameroon is made up of two people. She being a celebrity, the afrimma crew can’t say they don’t know Daphne is anglophone. And you know that, because you’re francophone, of course. Stop spitting hate. Ignorance is not a disease, it can be cured with relevant information. those who are worried about French in Anglophone artists music are exhibiting the highest form of low self esteem. not every thing you disapprove of is a valid point. nothing in the article points to the fact that language has anything to do with it. there is nothing wrong in being and doing your arts in a bilingual way. don’t always politicise everything and start wish hard-working young folks ‘ill luck’. just because they are not conforming to your expectations. Well done Joan…well balanced and analysed. We hope Salatiel and his team, read, take notes and act on the points. Then Salatiel, Mr. Leo if you guys read this, do your music as your arts inspires you. If inspiration comes in English or French, Bayangui, Band or Hispanic language go ahead. Music and arts has no language. ….and oooh you forgot the double logo trouble. I pray we all make it! I have 237reasons to believe so. Joan u are undeniably a brilliant blogger.i love u because u do ur homework well…there is absolutely somethx going on.whatever it is .i hope and pray they get it fixed because damnnnnn they gt so much talent.